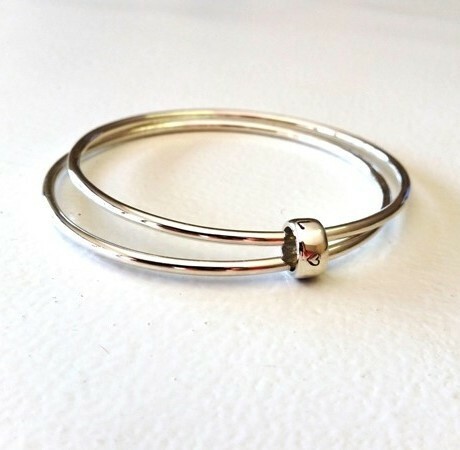 Two elegant sterling silver bangles are connected with a hand stamped flat halo. Stamp your loved one's initials or a short name/phase. Notify me when Double Bangle is available.